Osteoporosis is a disease that occurs when the body’s bone mass decreases or doesn’t make enough bone – or both – resulting in the bones becoming brittle and weak. According to the International Osteoporosis Foundation (IOF), osteoporosis is responsible for close to nine million bone fractures every year, and affects 200 million women worldwide. In the United States alone, around 54 million Americans currently have osteoporosis or low bone mass, known as osteopenia, which puts them at higher risk for developing osteoporosis. Because there are very few symptoms to the disease, those with osteoporosis may not be aware they have it until they suffer a fracture. When you have osteoporosis, you not only have a greater chance at breaking a bone from incidents like falling and tripping, but also from lesser events like bumping into furniture. Organized by the IOF, World Osteoporosis Day is celebrated every year on October 20. This year-long campaign is dedicated to raising worldwide awareness of the prevention, diagnosis and treatment of osteoporosis and other bone diseases. The theme of 2017 World Osteoporosis Day is Love Your Bones – Protect Your Future. You’re encouraged to wear white on October 20 to embrace better bone health, as well as take action for osteoporosis prevention. Your age. While it’s possible to get osteoporosis at any age, older adults are more at risk than younger people. Your family history. Your parents may have gone undiagnosed, but if you’re aware they had conditions like a curved spine or suffered broken bones, those are signs they most likely had osteoporosis. This means it’s more likely that you will have it, too. Your gender. Men over the age of 50 are more likely to break a bone from osteoporosis than to get prostate cancer, but females make up 80% of the people who have osteoporosis. Your body type. Any body type can get osteoporosis, but being small and thin puts you more at risk. Your lifestyle. You’re more at risk for osteoporosis if you live a sedentary lifestyle, smoke cigarettes and drink an excessive amount of alcohol. Your medications and current health. Talk to your doctor about your medications and health issues to see if you might be more at risk. Certain medicines like steroids that are used to treat asthma, allergies or arthritis can cause osteoporosis, as well as other medical conditions like celiac disease or diabetes. Your bones get stronger when you make them work, so be sure to spend 30 minutes every day exercising. Focus on weight-bearing and muscle-strengthening exercises. Ensure you’re getting the correct daily amount of vitamin D and calcium. Eat a well-balanced diet and if necessary, ask your doctor if you should take a calcium supplement. Make healthy lifestyle choices like quitting smoking and avoiding excessive alcohol use. If you are a woman who has reached menopause or a man age 50 or older, get a bone mineral density test. Immanuel Lutheran Communities encourages a meaningful lifestyle by focusing on senior wellness activities in all six dimensions. 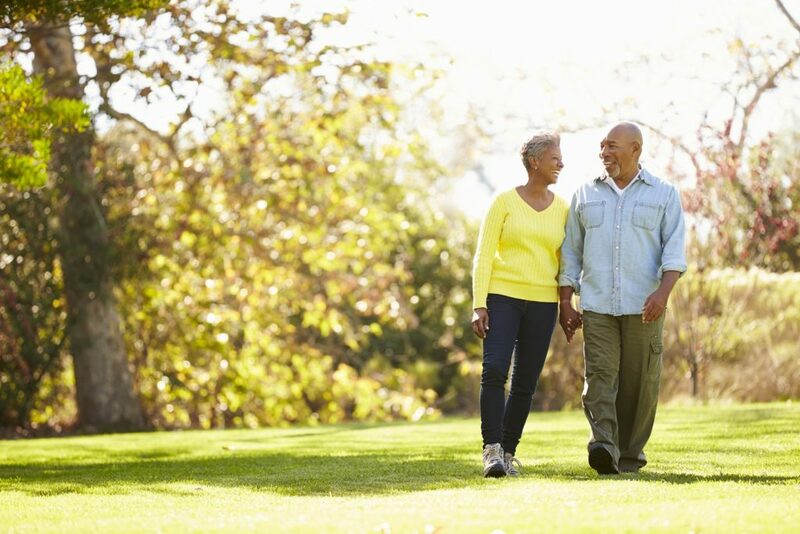 From daily fitness classes for strength training to line dancing classes, you’ll have plenty of opportunities to be active, ensuring your bones are staying as strong as possible. Learn more about vibrant senior living in Kalispell at Immanuel Lutheran Communities by contacting us today.